One of the joys of blogging is reading other people’s blogs, and this week I thought I’d do a short blog roundup and share some things I’ve been reading lately, on blogs which you might like to add to your blog roll. 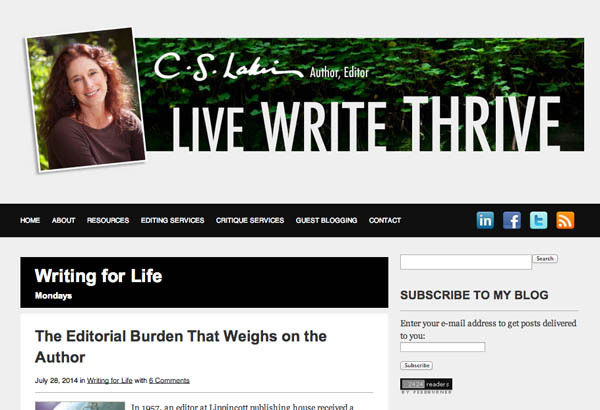 First up is a blog post on author C. S. Lakin’s blog Live, Write Thrive. If you don’t subscribe to Susanne’s blog already I recommend it. This is actually a guest post by Dana Sitar: Crowdsourcing your self-publishing project without asking for money. My own view is that crowdsourcing is only going to grow in popularity as public funds for the arts dries up. And incidentally, crowdsourcing may be a trendy name for it but it’s been around for centuries. Composers such as Handel and Purcell published a lot of their work by public subscription – that is, asking people to pledge they would buy a copy of their work before it had been written. In Victorian times in the UK it was common for public buildings and works to be financed by subscription – of course that was in the days of philanthropy and before all the tax-funded public services we now have. I believe the idea of philanthropy is still alive in the US though. 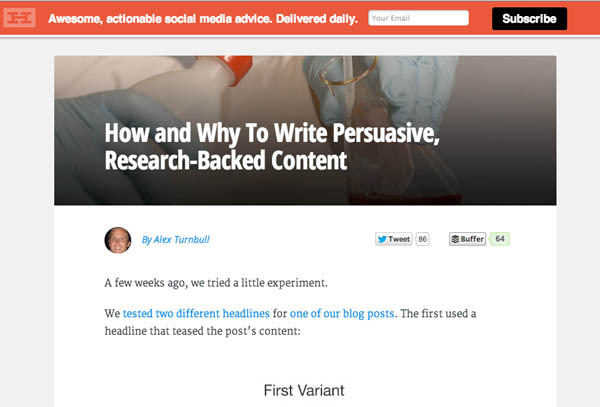 Over on the Buffer blog, this is interesting – How and why to write persuasive, research-backed content. A small experiment resulted in 40% more click-throughs to a blog when the headline mentioned a statistic. The piece goes on to give other examples and suggests how to make your blog posts stronger by backing up what you say with stories and statistics – as long they’re genuine stats, of course. Although I’m from the ‘statistics can be used to tell any story you want’ school of thought (it’s the marketer in me!) 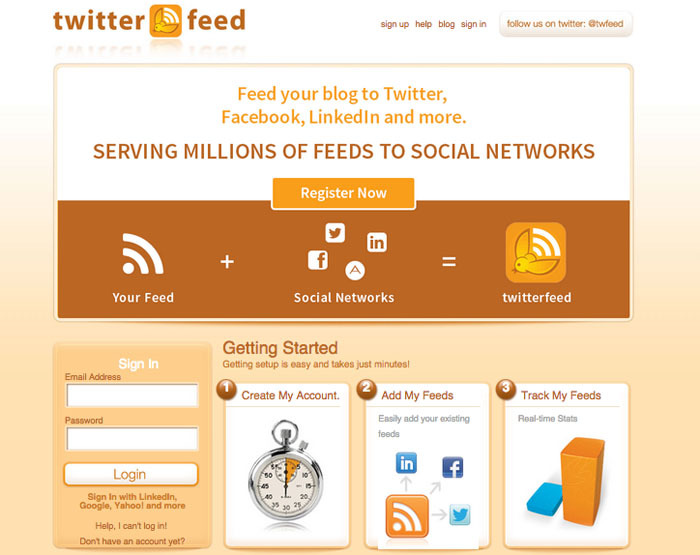 Again, the Buffer blog is one worth subscribing to for web marketing news and ideas. Plus they’re very nice people, which goes a long way in my book. Poet Abegail Morley blogs at the Poetry Shed (and yes, there really is a shed, I’ve seen it!) 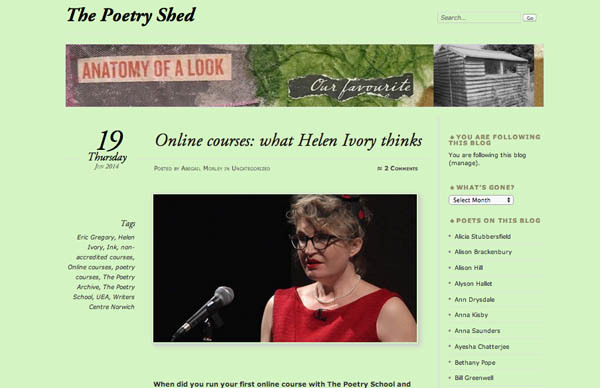 and although this post isn’t brand new, it’s a bit of a keeper – Helen Ivory talking about online poetry courses. Abegail’s blog is a mix of news, interviews and observations on the poetry world and is a good example of how to sustain interest and variety for her readers. Worth following. Should you, as a writer, be concerned about using images in your blog posts? It’s a fair question. Maybe not every post needs an image – it can be worse to shoe-horn in an image just for the sake of it, than to have no image. But there are several reasons why pictures are a good idea. 1) The eye is drawn to images – research has shown how we linger over pictures on the screen, and go back to them. Even split-seconds make a difference when you’re trying to keep someone’s attention. Striking images can help keep people for longer on your site. 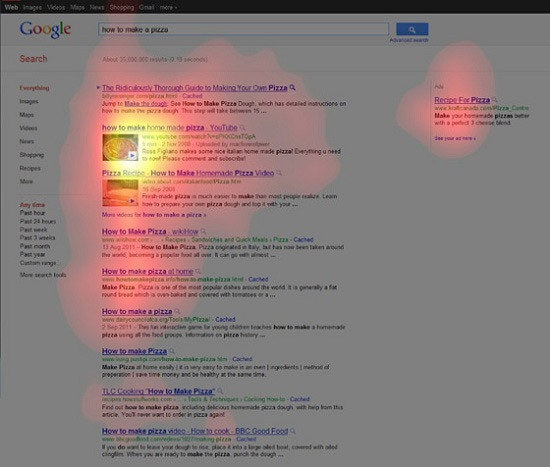 This heatmap shows where people look longest on a Google search page – at the images. From Kissmetrics. 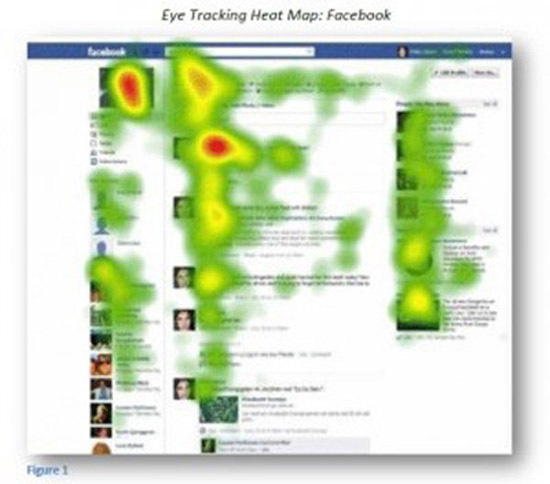 Heatmap showing where people look on a Facebook page. From Business Insider. 2) Great images get shared on social networks, so bringing your photos (and your blog) to the attention of people outside your own social circle. 3) Tag your images and it’s more likely they’ll be found in searches – it’s another way of people finding your blog, bringing you greater visibility. Size – even if you take photos on your phone they may be enormous – great for printing out but you don’t need them to be that size for the web. A lot of big images can slow down the loading rate of the page. Blogging software gives you the option to re-size images proportionately into small, medium or large versions, but you may want more precision over this. Cropping allows you to focus in on the part of the image that matters. Think also about how the images will look in your chosen template. Full column width images have more impact that smaller images aligned left or right with the text around them. if you are posting images side-by-side, make them the same height, for neatness, or the same width if they are stacked vertically. Brightness – you may want to lighten up your photos before posting them. A great (free) tool to use is Pixlr Editor – it’s got all the features you’re likely to want for basic photo manipulation. If you take photos on your phone, check out all the image editing options you have there – you may be surprised! Don’t just lift pictures from around the web for use on your blog – they may well be copyright. Google Images is a great search engine, but always check before copying anything. Good royalty-free images sources are Flickr (many photographers make their images free to use as long as you give them a credit and a link – but do check with the individuals first) and museum and art gallery websites (look for their ‘free image library’ or similar). Sites like iStockphoto and Dreamstime offer a large range of royalty-free images for a small fee. Tag your images with key words, and give them an ‘alt’ text as well – which gets seen even if the images aren’t showing. Include a keyword or two (the words you want to be found for) in the alt text and any caption, if possible. 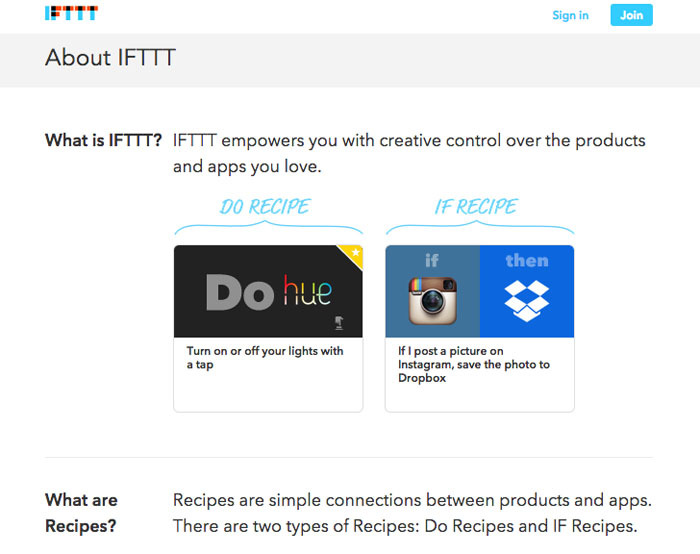 Add ‘share’ buttons to your blog, to encourage people to share your posts and your images. If you use Buffer, for example, you can add a ‘share’ button with the update text already pre-populated (this is where you would add your blog URL). 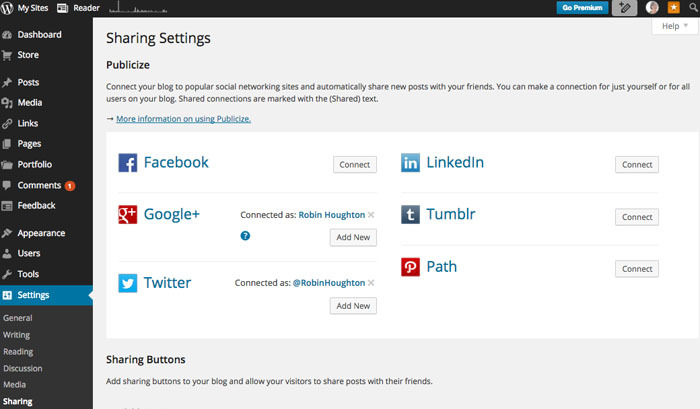 The Buffer Button – configure your share button to make it easy for people to share on their social networks. 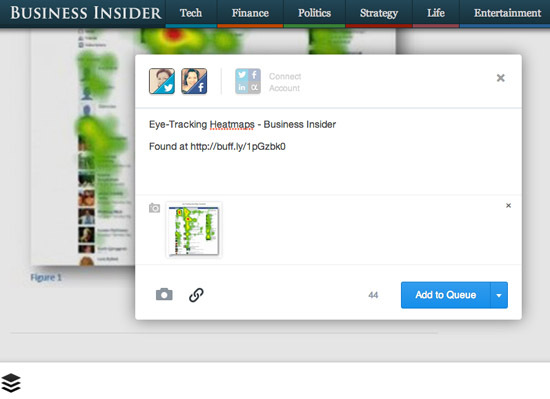 When people click on your Buffer share button they can share your content to their social networks with one click. Take a look at Pinterest, if you haven’t already. Create boards around specific topics and pin your blog images there. Give each image a description – use keywords again – you have up to 500 characters so make the most of it, as it will help people find your images. Include your blog URL so that the images lead to your blog. You might think writers are not interested in visuals, try searching for ‘writing’ and other writing-related topics on Pinterest, and you’ll find there’s plenty going on. Even if you don’t use Pinterest yourself, add a ‘Pin It’ social button to your blog, to encourage others to share your images on Pinterest. 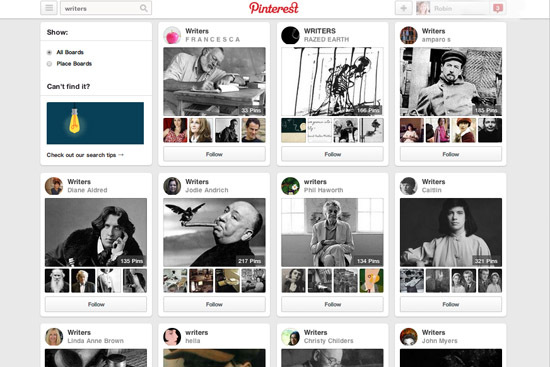 There are plenty of boards on writers and writing at Pinterest.